I collect my tablet an battery from Karen that kindly charged them overnight. I then head for town and the start for the day. The local boulangerie owner has a t shirt that speaks MTN Quebeka language if you ignored the small print. Having bought my daily supply I then move down onto a better spot on the route and wait for the riders to start. 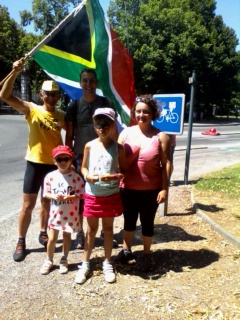 I end up chatting to a couple that have toured SA and loved it. 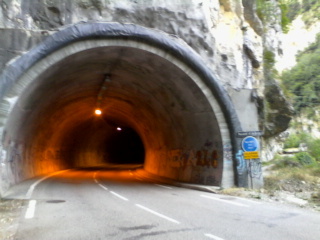 The tour leaves town and so do I.
I ride along the banks of the Isere river headed for Grenoble. 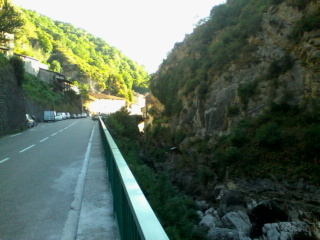 I pass through many villages and stop in Royans to watch the stage on telly and to escape the heat. 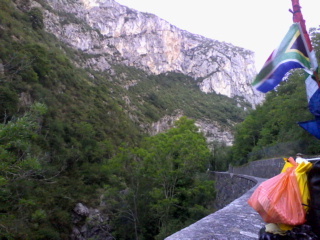 After the stage finish I head on direction Grenoble. 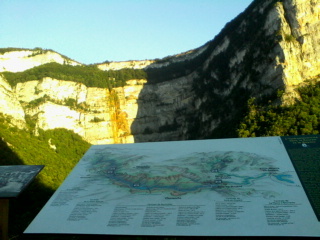 I get a little laugh from a local when I say that I want to be in Villars de Selans this evening. 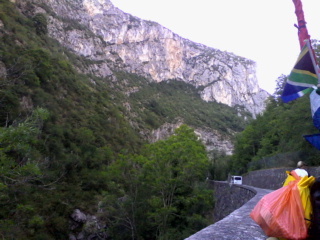 By 8.30 I knew why he had laughed, someone had put an Alpine mountain in my way. By ten o’ clock I decided I was not going to reach Villard de LANs and camped where I thought was near the top of the mountain. 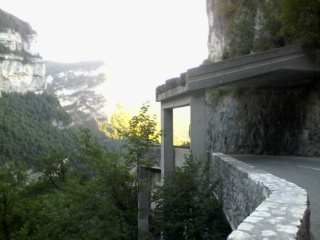 He he it goes up for another 18 kms and then you drop straight down into Grenoble. Spectacular is not a strong enough word to describe my first encounter with an Alpine mountain so bliksem will have to do!!!. 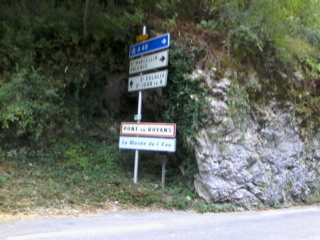 This climb was 27 km long and incorporated a number of villages. 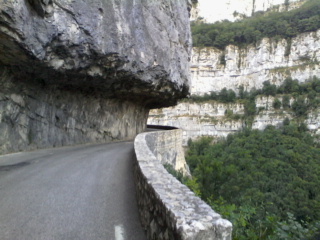 I can understand why the TdF does not use it because it is never very steep so an easy climb I would say. 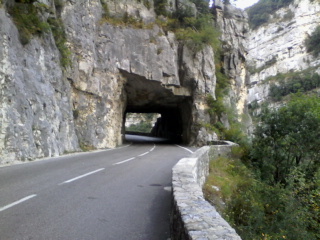 Now to take on the Alpe Du Huez and a few more if I can get there with enough time. 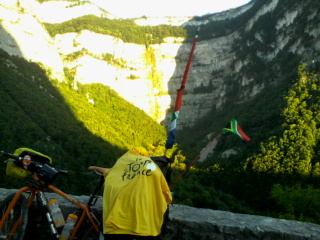 Rodez departure Down to Grenoble ends on a high note!! !